CS-Inspire is New Zealand’s first virtual Customer Success Office and was founded by Ralf in 2016, after coming back from the Silicon Valley, with a container full of knowledge and experience; at least it felt like a container! Our mission is to support Kiwi companies to understand the value of Customer Experience & Success: We help to apply techniques relevant to their business improving customer feedback, increasing customer retention and identifying expansion opportunities. 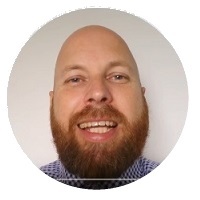 Ralf is a passionate Customer Experience & Success advocate, with a background in software engineering, product management and professional services for on-premise and SaaS B2B software. While living and working in the Silicon Valley, Ralf started to work on his first Customer Experience & Success initiatives in early 2012. One of the first projects was to set up a “Customer Angel Program” with his team. Other ideas like the 'Customer Happiness Playbook" took off fast; however, some other initiatives hardly made it off the launch pad. 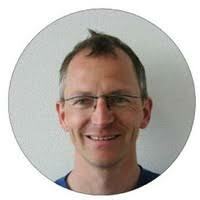 Chris is an experienced international technology sales leader in the area of enterprise software. His expertise is to design, implement and improve retention strategies, for small businesses to large corporations. And with retention management comes his passion for Customer Success. Chris' credo is "I turn up and deliver value every day!"